Angie Lokotz – Will Make Interactive Books for Food. For years I have been making yearbooks for one of the Puget Sound Region’s top volleyball clubs. When I had access to Adobe DPS, I made interactive apps that were reminiscent of the printed version, but were fully interactive. Adobe has removed the DPS option for those of us with personal Adobe CC accounts, so this year I thought I’d try some other options. I uploaded one version of the book to iBooks (that version has the ads removed), and I’ve also created an online version with the InDesign CC Publish Online (Preview). Paragraph Shading is the cool new feature in InDesign CC 2015 and I’m loving it. Paragraph shading can call attention to pull quotes or sidebars, create interesting running heads, or make introductory text stand out. Paragraph shading is important. And until now, it has always been a challenge. If you’ve never had to shade a paragraph or haven’t used rules to create reversed heads in long documents, then you can’t imagine how big a deal Paragraph Shading really is. Long documents often use shaded paragraphs to call attention to text. They can be used for callouts, pull quotes, or sidebars. They can be used to stripe tabbed text, to create interesting running heads, to make introductory text stand out. Shaded paragraphs add to readability and utility. Long runs of tabbed text without shading can be very difficult to read. Have you ever watched someone take out a ruler to follow along when reading tables? That’s one sign of poorly formatted text. Paragraph shading is important. And until now, it has always been a challenge. Designing for devices becomes a puzzle of what to animate and why. I’ve been experimenting with different website layouts (using Adobe Muse, mostly) as well as using Adobe DPS (Digital Publishing System) for redefining printed matter to use on a tablet. It’s been a fun experiment. I’ve found that less is more when it comes to animations so I’ve tried to pare pages down to their basics. I enjoy the possibilities afforded by interactive pages. One of my clients is a volleyball club here in the Puget Sound region. I have been putting their yearbooks together for many years, but once I got an iPad in my hands, I knew that the yearbook format was perfect for an interactive device. Here’s an example of how I rethought the pages so that they work better as an interactive format. 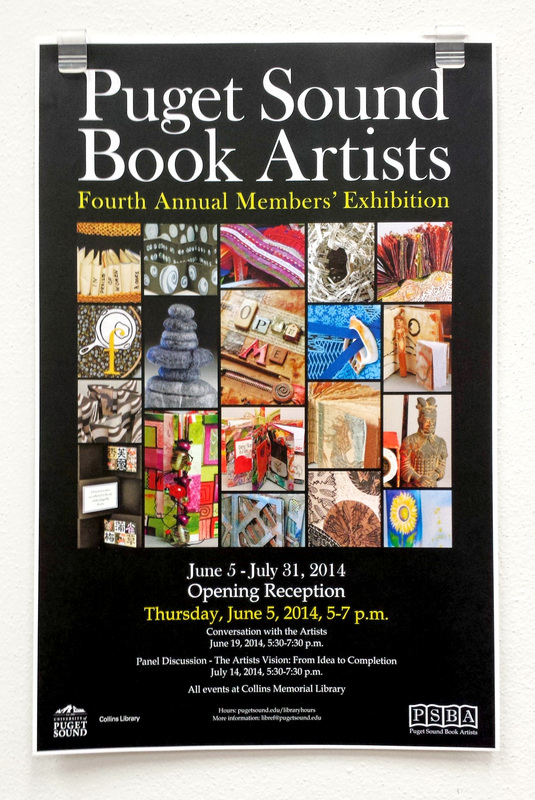 Each Puget Sound Book Artist exhibit seems to overshadow the previous one. This latest exhibition at the Collins Memorial Library at the University of Puget Sound is no exception. These handmade, one-of-a-kind works of art are all books that tell a coherent story whether they are popup books, accordion books, embroidered sampler books, or map and felt books. I can never get enough of the intricate workmanship and thoughtful intent that goes into each one. Widows, Orphans, and Runts, Oh My! It has been my experience that nothing (except maybe bad kerning or poor font choice) makes an art director grab for a red pen like finding paragraph runts in text. A runt is a very short word or phrase that sits by itself in the last line of a paragraph. In previous posts we discussed the benefits of using a Nonbreaking Space and a No Break Character Style to help finesse your text flow. But wouldn’t it be grand if you could actually prevent most bad breaks from occurring at all? While these tools make it easier to control how your text flows, they will not save much proofing time on your part because you will still have to read the text to spot bad breaks and then manually apply these options to correct them. Wouldn’t it be grand if you could actually prevent most bad breaks from occurring at all? You can! With the power of GREP.